Patrick gets a new pair of shoes, but doesn't know how to tie his laces. // Mr. Krabs takes the day off from the Krusty Krab and puts Squiward in charge. SpongeBob eats sea onion ice cream and his breath stinks. When people avoid him, Pat convinces him that it's because he's ugly. // When Mr. Krabs gives his daughter Pearl a job at the Krusty krab, she starts to make some changes. Patrick goes overboard when he takes Spongebob on as a role model. // Spongebob blows a bubble to keep him company when Patrick goes out of town. Squidward accidentally lets SpongeBob eat an exploding pie. // Plankton schemes to steal the Krabby patty by disguising himself as Mr. Krabs. Spongebob and Patrick are convinced a butterfly ate Sandy's pet caterpillar. // Spongebob's colored patty sales idea becomes a huge success and Mr. Krabs wants a piece of the pie. SpongeBob's friends tease him after Grammaw gives him a kiss. // Sick and tired of living between Spongebob and Patrick, Squidward decides to move out of Bikini Bottom. Sandy is going into hibernation in a week and she wants to pack in a million activities. // SpongeBob and Patrick end up popping Mr. Krabs balloon and fear the consequences. SpongeBob and Pat are fascinated by the snow they see inside the Treedome and want to play in it, but sandy is hibernating for the winter. // SpongeBob grows more and more jealous as Gary spends more time with Patrick. SpongeBob attempts and fails his driving test again, but a fed up Ms. Puff wants him out of her classroom so she makes up extra credit for him so he can pass the test. // SpongeBob tries to join an exclusive jellyfishing club. When Mermaid Man and Barnacle Boy go away for the weekend, they ask SpongeBob and Pat to house sit for them. // SpongeBob becomes an overnight stand up comedy sensation when he starts telling derogatory jokes about squirrels. Sandy and SpongeBob get into a fierce competition doing extreme underwater sports. // SpongeBob and Pat visit the zoo and SpongeBob innocently tosses a peanut at an oyster in order to rouse it. The oyster then goes crazy. SpongeBob and Patrick work as crew members for The Flying Dutchman. // It's time to give Gary a bath, but he doesn't want to take one. Mr. Krabs loses SpongeBob's fry cook contract in a bet with Plankton and SpongeBob is forced to go work at the Chum Bucket. // SpongeBob and Pat discover a pencil that makes everything they draw come to life. Patrick has a box and won’t show SpongeBob what’s inside. SpongeBob's curiousity gets the best of him. // Squidward's old rival brags to Squid about his famous marching band. Feeling outdone, Squid says he has a band too. While working the graveyard shift, Squidward tells SpongeBob a scary tale. // Ms. Puff pays a visit to the Krusty Krab and Mr. Krabs is instantly smitten with her. SpongeBob must write an 800 word essay for boating school but gets distracted easily. // When Patrick's parents come over for Starfish Day, Patrick gets upset that they still think he isn't very smart. SpongeBob reads a "bad" word off a dumpster behind the Krusty Krab and he doesn't know what it means. // When Spongebob enrolls in Squidward's community art class, arrogant Squidward attempts to teach him strictly by the book. 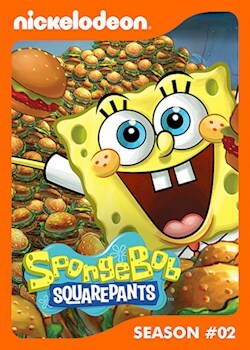 Mr. Krabs discovers that customers love SpongeBob’s special jellyfish jelly Krabby Patty. He begins to take advantage of the jellyfish. // Mr. Krabs enters SpongeBob in the Fry Cook Games where he competes against Patrick. Believing Mr. Krab is taking advantage, Squidward convinces Spongebob to join with him and threaten Mr. Krabs with a strike. // A large worm is terrorizing Bikini Bottom and SpongeBob is terrified of it.